The symptoms of stress say, "Pay attention!" It's important to listen to our symptoms of stress. We often ignore the warning signs of stress. Stress symptoms are the body's way of telling us, "Hey, there! Something isn't working quite right in your life and you should try to help yourself feel better ASAP!" I recommend writing down your particular symptoms of stress. Looking carefully at how stress manifests itself in your body, mind, and life is a great starting point for figuring out your causes of stress. 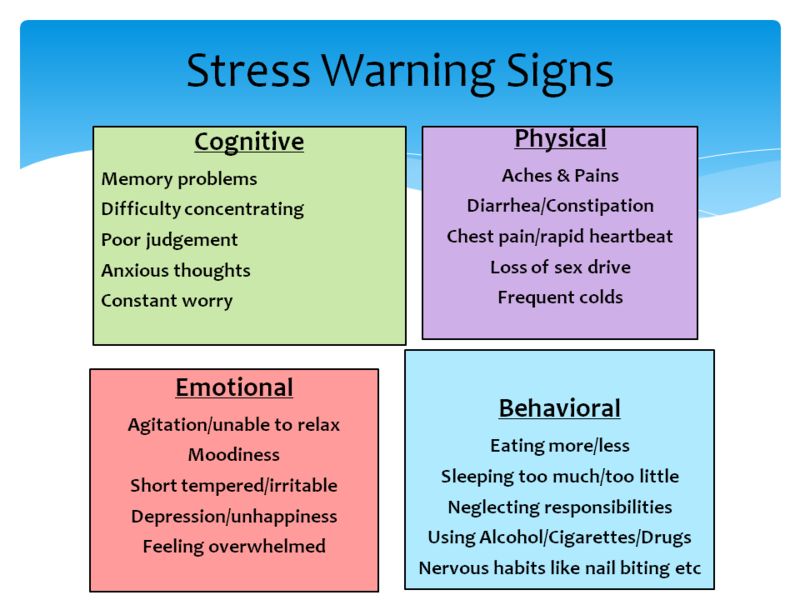 Here are some commonly experienced stress symptoms to get you started. See if you recognize any of these in yourself. 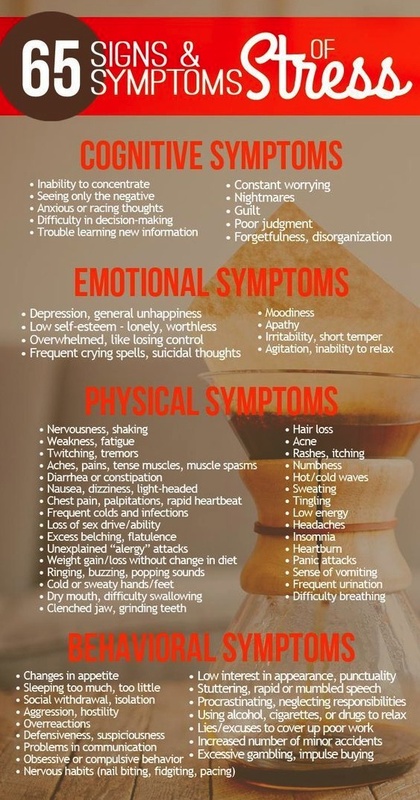 If you recognize any of these stress symptoms or other physical/emotional changes in yourself, it is important to address them. If your symptoms of stress are chronic, consult with a healthcare professional. Some of the symptoms discussed here can be indicators of serious underlying disease. I urge you to take control of your stress symptoms. You can start right now. If you're willing to put in the work to help yourself, you can feel better. Please consider subscribing to The Know Stress Press. When you do, you'll gain immediate access to your free stress management workbook as well as an hypnosis session I developed myself to combat stress.